Home Internet Why KYC Remediation is Important for Digital Businesses? Why KYC Remediation is Important for Digital Businesses? The entire purpose of KYC remediation is for businesses to know their customers and end-users. If a company does not have sufficient information about a specific customer or business. That particular customer or business might be able to harm the company through money-related criminal activities. In turn, that will cost the company loss in financial revenue, through penalties and fines in addition to reputational damages. Who will be at loss? – sleeping businesses. It’s not that these businesses are literally sleeping, they choose to procrastinate and delay implementing the necessary measures that in-turn actually prevent them from being a victim of these consequences. What is Data remediation Process? If a company has substantial information about a client, the required remediation process can be applied. The remediation process consists of clearing redundant information, and organize any remaining information. Highlighting missing pieces of information that are required from the client additionally. Once the final information about the customer has been highlighted, an appropriate customer persona can be established to paint an ideal risk profile against. This profile will determine the future actions taken by the company against the customer. KYC holds the importance of its own that many are now beginning to understand. However, many companies are still not considering KYC remediation seriously. In today’s fraud prevalent time, straight forward Identity Verification is not enough and a lot more has to be considered to better vet customers with the information available. Companies need to utilize additional information acquired during various diligence levels to assess the risk posed by the customer. Also, use the additional information gathered from diligence to assess the suitability of a customer by comparing it to the companies existing customer ‘persona’. This allows companies to be fully versed with global regulations and being able to protect themselves from unforeseeable future backlashes. How to process KYC requests? KYC requests are nothing unusual from the businesses but the sleeping businesses need to understand the importance of a KYC process in order to authenticate their user base. A normal KYC process was limited to collecting personal information from end-user, but that led to a data haystack that was of no critical or business use for such digital companies. 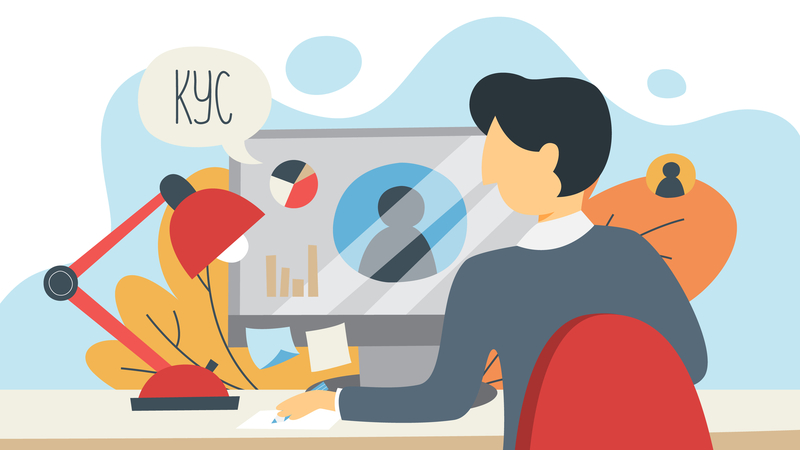 But KYC verification is a process that not only helps companies to collect personal information from their potential clientele but also verifies that information for the authentic user base. An authentic user base that can be re-targeted with new deals and offers based on their specific user category and demographics. In case of B2B business model, corporate entities that fall into particular categories can be recontacted to further strengthen the partnership because it is 10 times harder to acquire a new customer as compared to extracting new business from an existing customer.KYC verification process authenticates the collected user information through background screening and checking of official identity documents. In the case of B2C business models, only end-user KYC verification is required while in the case of B2B model, KYB verification and authentications are considered important. Some jurisdictions require KYCC (Know Your Customer’s Customers) to be performed in order to examine the true credentials of the business entity that a company is dealing with or partnering for service delivery. This kind of check is crucial in order to find the beneficial ownership of the companies and weed out shell companies that are established for less than legal financial activities. KYB, KYC, and KYCC are all important in assisting with anti money laundering procedures as well. What information is collected in KYC? KYC verification is mostly performed according to the regulatory guidelines or the individual security concerns of a business entity. Most of the businesses only collect Full Name, Date of Birth and an Authentic Identity document as for basic KYC verification process. Others perform more in-depth KYC verification such as age verification, identity document number, identity document issue and expiry date verification as well. AML screening is also performed by certain businesses to ensure that no significant financial risk is attached to their incoming users. Most of the times banks, financial institutions, and insurance companies perform these anti money laundering procedures. Such screening is mostly performed by manual review process but now several automated AML screening solutions are available as well.These AML screening solutions are perfect as they perform a background check from a large database in real-time, something that will be impossible to achieve in a manual review process. Some KYC service providers, such as Shufti Pro, are even offering Consent verification solution. Such a solution allows businesses to collect written consent from users in order to process an online payment or to authenticate a transaction request beyond a set limit. Customized text or date/time of the transaction can be noted down on the handwritten note in order to validate a certain payment or transaction. This written proof can be used to counter any claim of payment fraud or identity theft. Data collected from EU citizens will not be used to earn a profit or sold to third party businesses without the consent of the user. The company collecting personal information of the end-users will be responsible to secure the data not only from digital data breaches but from physical harm as well. Proper backup has to be stored for all the collected information and must be secured with similar data protection protocols used for the primary data set. The user will have full control of their data and can request deletion of their personal information whenever they want to and the digital business will be responsible to delete the data within the set timeframe. Apart from GDPR, there are several other data privacy and personal information governing regulations approved and implemented in different parts of the world. Sometimes, within a country, the data protection laws change drastically and it is binding on businesses to cater for all those regulations before they integrate a KYC service provider for user authentication and identity proofing.Even for Anti Money Laundering (AML) procedures, there are different guidelines depending on the industry handling the funds of their customers and the country where the transaction is being performed. Some AML laws require only the vetting of personal credentials of a customer, in some other jurisdictions it is compulsory to identify the source income and nature of transaction as well to ensure that funds transfer is not an attempt of money laundering. In some regulatory environments, it is compulsory to authenticate each transaction beyond a set limit by providing a KYC verification through a valid identity document.